For those offering trauma-informed care, it can be difficult to maintain wellbeing and a balanced, positive outlook when the nature of their job requires frequent engagement with traumatic disclosures. Self-help for Trauma Therapists: A Practitioner's Guide intends to assist human service workers- such as those working as therapists, social workers and counsellors- to maintain their self- care and professional effectiveness when working in fields where stress and trauma play a key factor in their everyday working lives. Adopting a comprehensive, multi-layered approach to self-care based, the book grounds its exploration of practice through researched accounts with experience professionals. Including accounts from clinical psychologists, therapists, counsellors, social workers and the friends and family of people in these professions, this book creates a narrative on stress and trauma from the human service worker perspective. 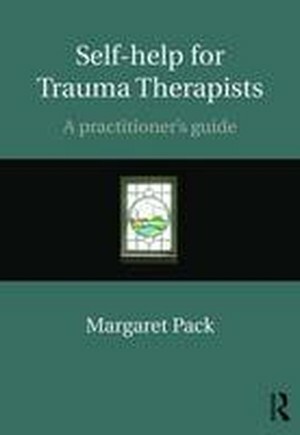 Interwoven with these stories of practice, the author includes reflections on her own experiences in practice over the past 25 years with trauma survivors. With discussions on risk and resilience, compassion fatigue and vicarious traumatisation, readers are introduced to the theories and practical applications of developing a professional model for maintaining wellbeing and self-care in their work. Self-help for Trauma Therapists: A Practitioner's Guide is the first book of its kind to be written solely for human service workers. It is essential reading for beginning and more advanced practitioners who are involved in working with trauma and recovery and will also be of interest to supporters of those working in the helping professions.